During the this period the Polish-Lithuanian Commonwealth was the largest territory in central and eastern Europe. Together they stretched from the Baltic to the Black Sea nd from The Holy Roman Empire almost to the gates of Moscow. Its army, though comparatively small for such a large country, achieved many successes against a wide variety of aggressive foes. There were few years in this era when Polish-Lithuanian forces were not fighting against one of the Commonwealth's enemies, which included Tartars, Teutonic Knights, Swedes, Austrians, Ottomans, Muscovites, Moldavians and Zaporozhian Cossacks. Military uniforms, e.g. long-cut jackets, grenadier caps and dragoon uniforms. 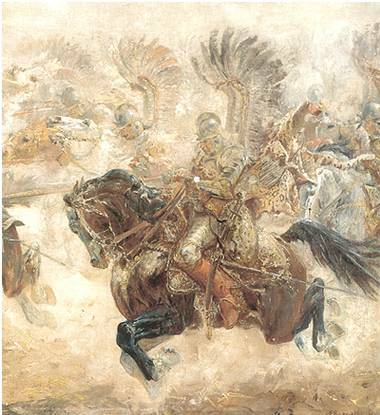 It should be remembered that one of the greatest generals in history, Gustav Adolf, developed his skills in almost continuous warfare with the Poles - and his success in the Thirty Years War was preceded by many years of effort against inferior numbers of Poles who had humiliated the Swedish army at Kircholm.